Please join us at this special event to learn more about the impact of the Community Ventures Program. For questions regarding the tour please contact Jill Katz at jill@jcua.org or (312) 663-0960 x115. 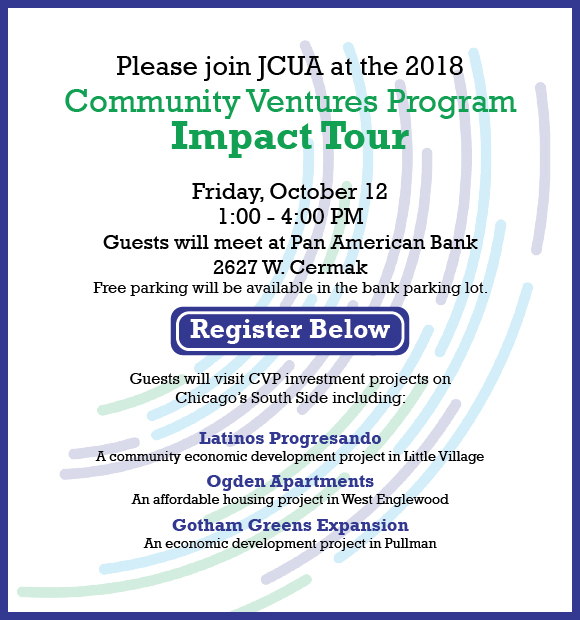 Founded in 1991, CVP has invested over $5.2 million in projects for the development and rehabilitation of over 4,000 affordable housing units and the creation of over 900 jobs throughout Chicago neighborhoods. Learn more about CVP.